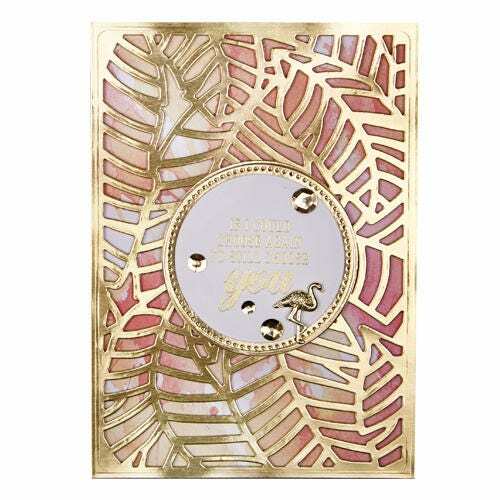 The Card Creator Banana Leaf Card Front (5 x 7 inch) Etched Die set from Tropical Paradise Collection by Lene Lok includes one insert design and one frame design. 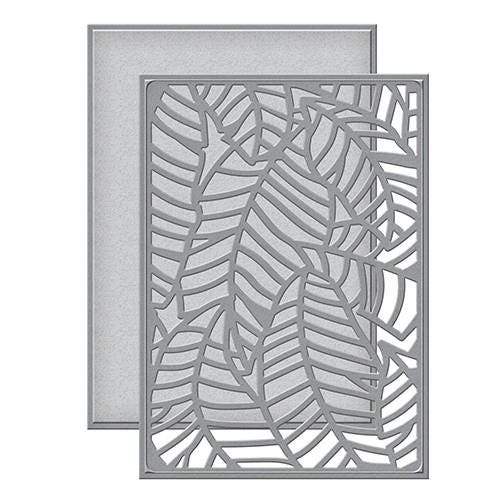 Use just the insert die to create an inset pattern into a project. 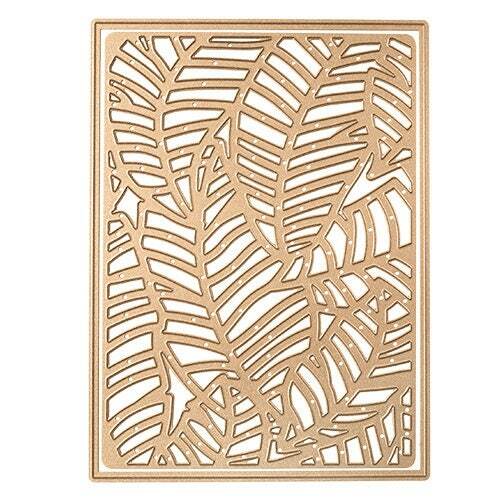 Or nest the frame and insert dies to create an intricate die cut piece. 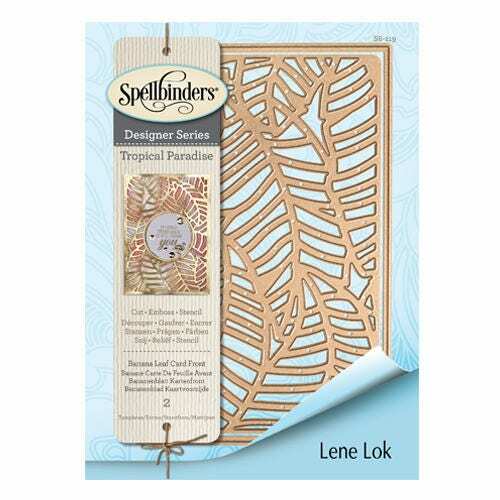 Spellbinders® Card Creator brings a simple and unique solution to multiple crafting projects. The work is all done for you, no more measuring required. Simply Choose your design, Assemble your pieces, Refine the details and you're Done! Fits for 5 x 7 inch cards. Frame: 5.00 x 7.00 in. Insert: 4.70 x 6.75 in. 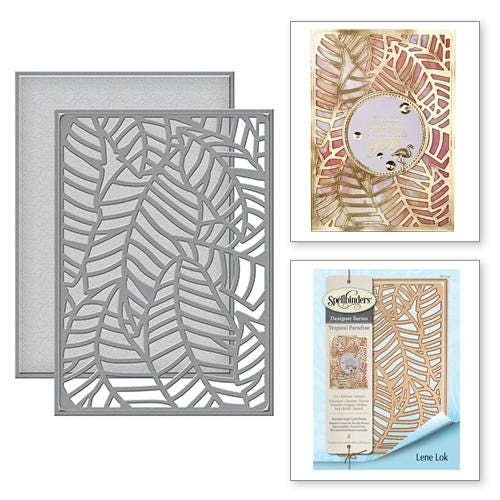 Project Types: Perfect for scrapbook pages, cards, mini albums and mixed media projects.